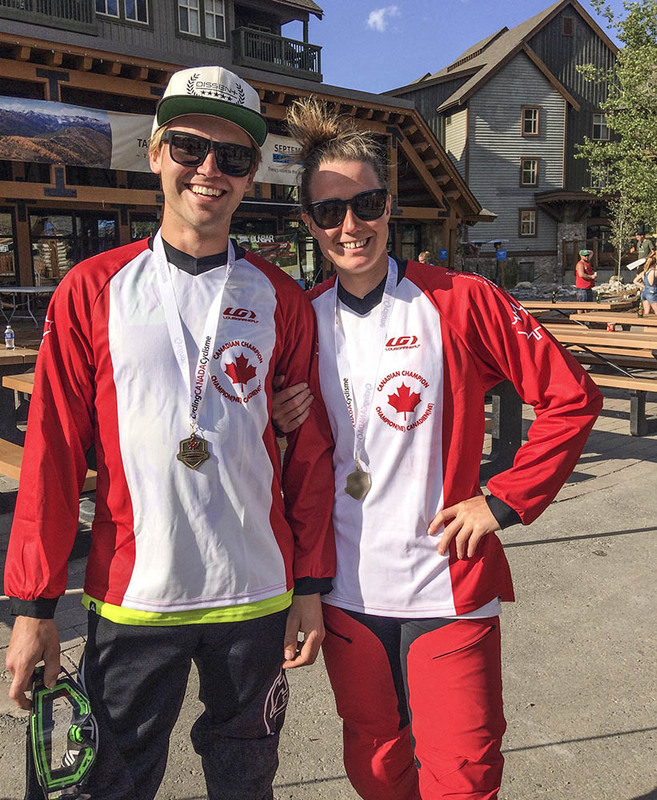 After a three year absence, the Canadian Downhill Championships returned to Panorama, BC, for the awarding of the maple leaf jerseys that winners will wear around the world when they compete over the next 12 months. 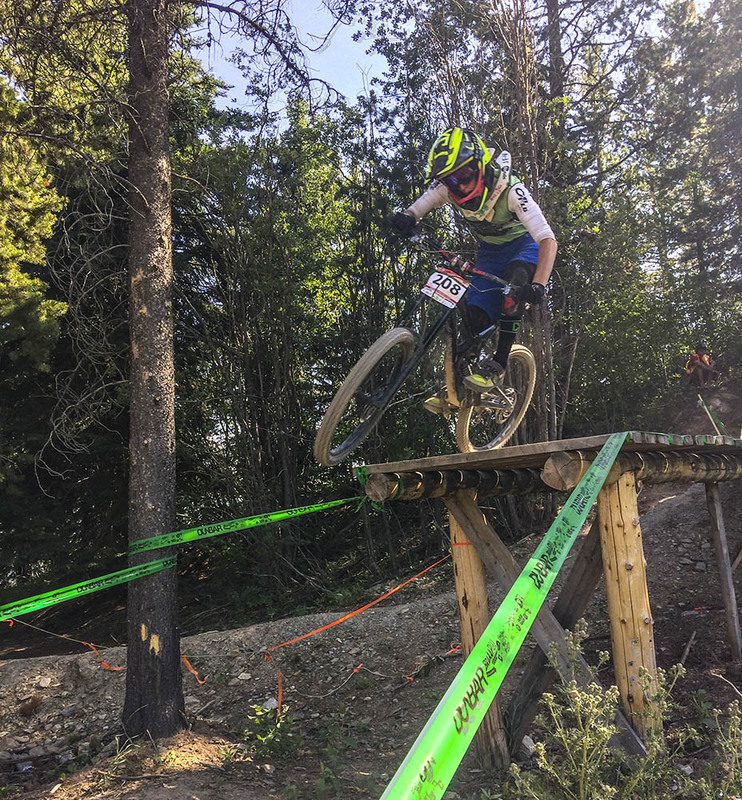 Repeating as champions in the Elite category were Miranda Miller (Specialized Gravity) of Squamish, BC, for the women, and Kirk McDowall of Anmore, BC, for the men. Miller, who has successfully come back from injury in an early season crash, beat fellow World Cup competitor Vaea Verbeeck (Rocky Mountain/Hope Technology) of Vancouver, BC, in qualifying, and did the same again in the final, recording a winning time of three minutes and 49.29 seconds, over two seconds faster than Verbeeck. Georgia Astle of Whistler, BC, was third. Kyleigh Stewart of Kamloops, BC, was the only Junior woman competitor. "It was a good day," said Miller. "I've had kind of a rough past month, so I've been focussed on this event. It was a fun track but conditions made it tough; very dry, blown out and changing every run. You had to stay focussed all the way down." 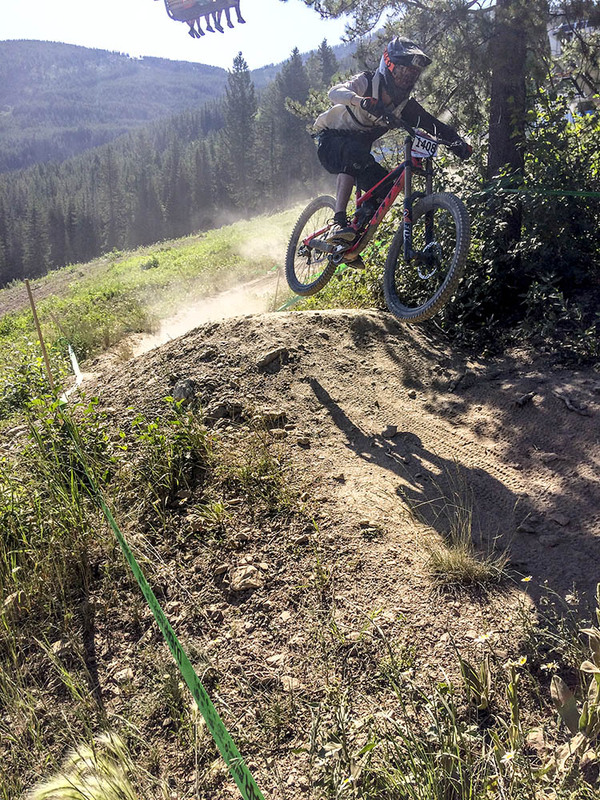 "I got injured about five weeks ago [crash at Fort William World Cup], when I tore my PCL and bruised my tibia, so I had to sit some [World Cup] races out, and when I came back I wasn't riding as well. But this weekend went really well for me and it's a confidence boost. I felt normal on the bike, whereas the past few weeks I've felt off-balance. It felt good to ride well. It was a really good weekend for me and hopefully I can carry this forward into the rest of the season." 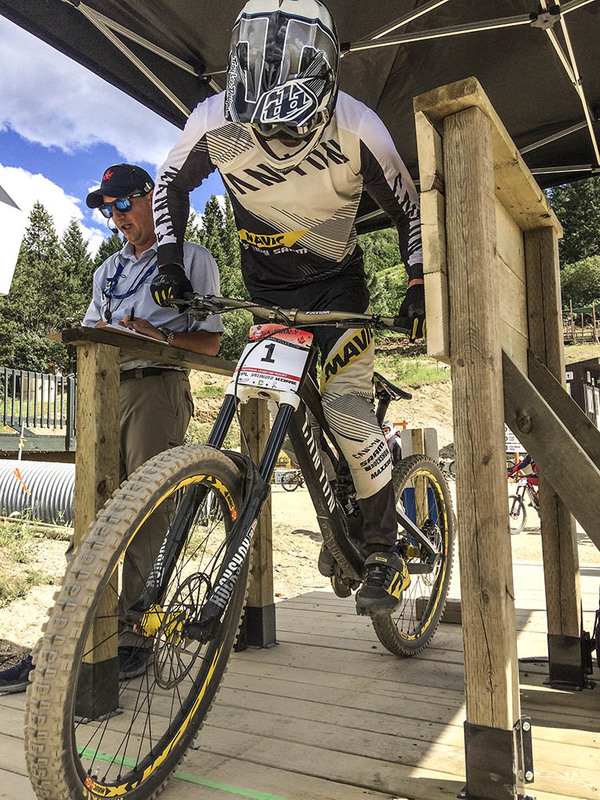 In the men's final, McDowall showed that last year's win was no fluke, beating World Cup rider Mark Wallace (Canyon Factory) of Duncan, BC, by nearly three seconds, with a time of three minutes and 11.62 seconds. Wallace, who had qualified first but flatted during his Final run, is currently ranked sixth in the World Cup standings. Magnus Manson (Kona Factory) of Sunshine Coast, BC, was third. In the Junior men's competition, the absence of defending champion Finnley Iles (Specialized Gravity), the current world and World Cup champion, opened the way for a new winner, with Kendall McLean of Victoria, BC, taking the title with a time of three minutes and 24.04 seconds, good enough for 12th place in Elite men. Blake Bunting (C4 Norco) of Vancouver, BC, was the top qualifier, but had to settle for the sliver medal, with Jacob Stefiuk (C4 Norco) of North Vancouver, BC, finishing third.